Research findings on decision making suggest that many types of decisions are less than optimal and prone to certain biases and errors with potentially serious consequences. This paper outlines the ways in which technology can be applied constructively to assist decision makers making better decisions during strategic planning based on an exploratory study which compares aided vs. unaided performance of SME’s managers. Decision making process has been decomposed into distinct phases to better evaluate the contribution of technology on cognitive aspects of the managerial task. Results suggest that decision support encouraged rationalization of the decision making process especially during the assessment of SWOT's and the evaluation of alternatives phase, leading to an overall increase in decision making effectiveness. Managerial decision making, Strategic planning, Effectiveness of decision making, cognitive decision support. It is common ground that human decision-making is not infallible. Many researchers attribute sub-optimum performance to inherent cognitive limitations of the human mind [1-3], decision makers' unwillingness to engage in the laborious, yet computationally powerful processes involved in analytic reasoning [4,5] as well as the use of biases and heuristics [6,7] which restrict potentially profitable exploration, analysis and assessment of the problem configuration. Decision support systems, in use at the business domain for more than three decades, intended to augment managers' decision-making performance, especially in tasks that are critical for the survival of the company. One of these tasks is strategic planning, which aims at the development of a set of action programs to achieve sustainable competitive advantage for a selected planning period. However, DSS research has center mostly on operational control and not on strategic decision making  and thus, DSS increased potential and effectiveness on performance, individual and organizational, has been limited [9,10]. Therefore, improving DSS effectiveness for top managers remains still a critical concern for both practitioners and academics. One of the most important considerations of decision support systems design is the cognitive aspects of their use. In fact, cognitive science has been identified as one of the most dynamic dimensions of DSS research. The design, implementation and user-interface management, in order to provide useful guidance for the design and evaluation of DSS, are prominent areas for research [11,12]. The development of innovative tools that add new capabilities to decision support systems offer new opportunities for improving human decision-making. But, these practical tools and technologies are destined to be underutilized if they do not prove their usefulness in addressing the specific cognitive problems that lead to sub-optimal decisions. Such an approach requires description of application specific cognitive activities of work domains [13-15]. The cognitive aspects of decision support on managerial tasks have received, considerably, little research . Most studies focus on the behavioral and computational/analytical aspects of decision-making. Thus, the effectiveness of instructional aids and decision support systems on lessening the consequences of cognitive limitations on real life complex tasks and, especially, strategic decision-making remains unclear [17-19]. Information technology initiatives developed to counter cognitive limitations have provided mixed results, . Some studies show a reduction in the DSS users' need to use simplifying heuristics in strategic decision-making tasks and adherence to more rational processes [21,22], which is associated to better performance, while others failed to demonstrate lessening of known decision biases . Furthermore, when complex managerial tasks such as strategic planning are concerned, there is a need for operationalized measures of effectiveness to investigate DSS contributions and facilitate the identification of common dialogue across research efforts. The general objective of this study is to evaluate the effectiveness of a DSS designed to support managerial strategic decision-making involved in the strategic planning. This is accomplished through decomposing the decision-making process into distinct phases and exploring the effects of various levels of computer support (ranging from fully aided to fully unaided) on the performance of experienced managers and/or senior executive officers of small and medium size companies. The reason for the proposed research approach is to identify some of the shortcomings of human judgment and decision-making and determine the extent to which computerized decision aids could assist the human judge making better decisions. The novel feature of this study is the empirical evaluation of how experts make such decisions with and without the use of a DSS as well as the development of a comprehensive measure of decision-making quality. 3. Tracking effort associated with the storage and subsequent retrieval of information about alternatives. Based on the findings that decision makers have a tendency towards the use of less effortful strategies, orienting research efforts towards designing decision aids that minimize demands on the components of effort that compel individuals to the utilization of simplification strategies and the use of heuristics, would assist in the optimization of performance. Two are the main lines of research towards minimizing efforts requirements: one is focusing on the processing mechanisms and the other on the element processed, i.e. information itself. The latter is concerned with such issues as the number of information attributes that are necessary to improve decision-making using trade-offs between effort expenditure and decision quality. Karim et al. suggest that the use of partial information (only the top half of the relevant information dimensions) produces only minor losses in decision quality while the savings in cognitive effort and information gathering costs are considerable. Other researchers are concerned with such issues as de-biasing and rationalizing decision-making. One of the main roles of a DSS is oriented towards "knowing". Thus, cognitive strategies and biases involved in "knowing" should be key constituents of any proposed formalization. In other words, if human judgment and decision making is in need of improvement, the conditions under which it falls down must be clearly exposed in order to pinpoint where and how technology can help [2,11,34]. Empirical testing on strategic planning support systems is less evolved, especially, in studying the effects of DSS in cognitive aspects of strategic decision-making with real end users [20,35,36]. Many studies have recognized that managerial decision-making does not adhere to the rational model due, also, to the high costs of decision-making effort and information processing limits of decision makers, as well as due to differences in decision-making procedures adopted and values held by managers [37,38]. It has been argued that the use of biases and heuristics by managers and entrepreneurs to simplify decision-making is not only common but also useful under conditions of environmental uncertainty and complexity as these provide an effective way to approximate the appropriate decisions . Decision-making based on a comprehensive and cautious processing of all necessary information requires availability of resources and time that rarely exist in the world of business in which fast reactions and timely exploitation of opportunities are appreciated. In fact, in some competitive contexts it may be more appropriate to "satisfice" rather than optimize in identifying and evaluating strategic alternatives . The use of heuristics has also been found to be associated with innovativeness. However, although these manifested deviations from rational decision-making may be beneficial in some circumstances, they can lead to major errors in others . Thus, in real life managers must balance the benefits of consistency and integration associated with thorough analysis of decision-making problems with the costs of inaction, managerial time and financial resources. Inquiry into managerial behavior is critical for understanding strategic decision-making as well as the cognitive differences of executive thought processes in order to tailor accordingly decision support. According to Chen and Lee , managerial decision support should: “help enrich the decision maker's mental models, facilitate mental model validation and integration, support the decision maker's backward and forward thinking, mitigate judgmental errors due to human limited information processing capabilities” Decision-making processes in strategic planning are usually very complex and are frequently partitioned into sub-stages. A widely accepted and used representation of the strategic decision process is a five-stage process. The five phases are: environmental scanning, target setting, generation of alternatives, evaluation of alternatives and implementation. This study will focus on the first four phases, as these constitute the strategy formulation phases. In order to evaluate whether and how the use of DSS can improve decisionmaking, there should be a standard for comparison purpose. The assessment of decision making effectiveness in the literature seems to follow two main directions: a) the assessment of decision making consequences (economic performance), and b) the assessment of the decision making process that led to specific decisions (e.g. correct assimilation of new information, thorough investigation of alternative tactics, etc.). However, it is apparent that unless the two approaches used for the assessment of effectiveness are combined positive results might be transformed into good process (first approach) or negative results might be neglected because appropriate processes were followed. The danger for such misinterpretations is even greater in decision tasks which are characterized by low degree of structure such as strategic planning where there is lack of standardized procedures for task execution, objective indicators of effectiveness are absent , goals are many and contradicting and the consequences of decisions vague . In this study, a measure of decision-making effectiveness has been developed which tries to link comprehensiveness of decision-making process to economic performance since decision support systems should be evaluated by their impact on practice. As a base for the assessment of decision making process comprehensiveness the work by Janis and Mann  has been used. They have suggested an array of behaviors for successful decision-making, which has been widely accepted among researchers in strategic planning. These behaviors include: (a) canvassing a wide range of alternatives, (b) surveying a full range of objectives, (c) weighing the costs and risks of various consequences, (d) searching for information to evaluate alternative actions, (e) evaluating information or expert judgment regarding alternative actions, (f) examining consequences of all known alternatives, and (g) making detailed plans for implementing a chosen action. The developed measure of decision-making effectiveness, based on the experimental data of this study, is presented in the discussion section. In conclusion, research has shown that decision aids facilitate decision relevant cognitive mechanisms that are related to decision outcomes through the employment of strategies associated with more effective choices. However, it is not quite clear yet what components of the decision aid facilitate most effectively in different work domains. To design more effective decision aids it is important to use a detailed model of decision strategy that outlines the actions and effort involved. The specific objective of this research is to compare aided vs. unaided performance of managers and executives during strategic planning to provide empirical evidence on the cognitive simplification strategies used by them as well as evaluate the effects of the DSS use on their mitigation. Johnson and Payne  were among the first that showed how decomposing decision-making strategies into elementary human information processes offer a way to identify and understand the potential impact of several variables on actual decision behavior. Thus, to meet the objective of this study, the strategic planning process has been decomposed into four phases for better analysis and understanding of the impact of the specific features of the decision aid, since its phase is characterized by different cognitive demands. In addition, in order to assess whether the use of DSS improves decision-making performance, measures of decision quality have been developed based on the theory of strategic planning. DSS contribution to decision-makers' cognitive and task performance is evaluated in every phase as well as on the overall strategic decision making process and implications for DSS design, based on these results, are provided. For the present study, the laboratory method of experimentation was chosen and a business game was developed based on data from a real company. The subjects were thirty-five Small & Medium sized Enterprises (SME's) managers or senior executives and it was required to make decisions on product line, marketing policy, investment in plant and equipment, as well as purchase or sale of stocks in order to maximize profit during the experimental session which represented a three-years period. Eight subjects proceeded unaided; eleven subjects used full support, while the rest (sixteen subjects) used two variations of the same strategic planning support system (SMPS): no support during the environmental scanning stage or no support during the generation of alternatives stage. The system used was the Strategic Management Planning System (SMPS), which was developed at the University of Piraeus in order to support SME managers in strategic planning. SMPS is based on a planning model, which decomposes planning activities into: environmental scanning, generation of alternatives, evaluation of alternatives, target setting and action planning. It includes thirteen individual stages each consisting of one or two displays (Appendix A). A knowledge base is also incorporated in the system that consists mainly of production rules, i.e. condition - action pairs, the action of which is executed when the condition it describes is matched. The data gathered fall into two categories: data collected during the execution of the business game and data collected from a structured questionnaire regarding the ease of use of the computer system as it is revealed in the degree of realism of the proposed by the system procedures and in the degree of specificity of the presented information. In order for a strategic managerial planning system to score high on realism it must proceed in stages that involve internal representation of the problem, as it is understood by the manager-user, thus, exhibit cognitive compatibility to the user's internal model of the task. The dimension of specificity refers to the displayed messages and the degree to which each one mirror or evoke the appropriate information cluster, i.e. whether the displayed items can retrieve from the user's memory the associated data items that together yield a complete and accurate description of an element of the cognitive model. The following sections describe the analysis and the results from the business game data. In the discussion of the results section, whenever possible, findings are complemented by questionnaire data. The analysis of data from the business game revealed 46 dependent variables (Table 1). Through factor analysis these variables were reduced to a manageable and meaningful set of 10 variables, using the Varimax procedure, which accounted for 86 percent of the total variance of the original 46 items. The internal consistency of each set was tested using the Cornbrash’s alpha method. Seven sets of variables had reliability coefficients that ranged from 0.86 to 0.99 after eliminating one item from five of the sets and they were included in the following analysis. The seven variables are: length of analysis, target sophistication, SWOT's analysis (scanning for Strengths, Weaknesses, Opportunities, Threats), and decision confidence. To further test whether items were correctly included in the respective sets the Nunnaly method was used . According to this method, the value of each item was correlated with the average value of each set to determine whether it belongs to the correct group. Low correlation items were eliminated from the sets. Table 2 shows the correlations of the seven variables of the decision quality (F1, F2, …F7) with every item that is included in the factors. For example, the correlation coefficients of item A18 with the 7 factors are .84, .43, .11, .17, .08, 002 and 004 respectively. Since factor F1 (length of analysis) is comprised of the averages of the included items, high correlation of item A18 was expected. However, the fact that A18 does not seem to correlate with the rest of the factors provides evidence of correct inclusion. All other items were tested in the same way. Thus, the use of the Nunnaly method revealed that items were correctly included in the respective sets. Therefore, the original variables remained unaltered for further treatment. Following these tests, the validity of the measures was examined. It is argued that the seven composite variables have content validity since the selection of the items was based on an exhaustive review of the literature. To assess the criterion related validity, i.e. the extent to which the measures are related to an independent measure of the relevant criterion, the seven variables were compared using the multiple correlation coefficients with the economic performance indicator. The results showed that the correlation coefficient was 0.65, thus the seven variables possessed high criterion validity. Finally, to test the construct validity i.e. the extent to which every variable measures the theoretical construct it was designed to measure, each variable was factor analyzed. The existence of only one central factor which explains for more than 86% of the total variance in the six variables can be regarded as a strong evidence for construct validity (Table 3). Only one variable (length of analysis) was separated into two factors: a) length of analysis for the first year (A19, A20, A22, A23, A26, A27), and b) length of analysis for the second and third year (A18, A24, A25, A28). Table 1: The dependent variables of the business game. Table 2: Correlations between factors according to the Nunnaly method. Table 3: Factor analysis of the seven composite values. Due to the nature of the data the ANOVA method was selected. The aim of the analysis, presented here, was to test: the influence of the level of support and the influence of the interaction of dependent variables, i.e. which sets of dependent variables affect the four levels of support. A prerequisite for using the ANOVA method is the homogeneity of variance in the selected users' samples. Two methods of analysis were used to test the homogeneity of variance: Cochran C and Bartlett - Box F. The analysis showed that the majority of the cases passed the tests. In summary, the statistical analysis showed that the level of support affects 18 dependent variables. Following, Scheffe's multiple comparison procedures were applied to the subgroups to determine where the differences lie. In all statistical tests the 0.95 confidence level was used. 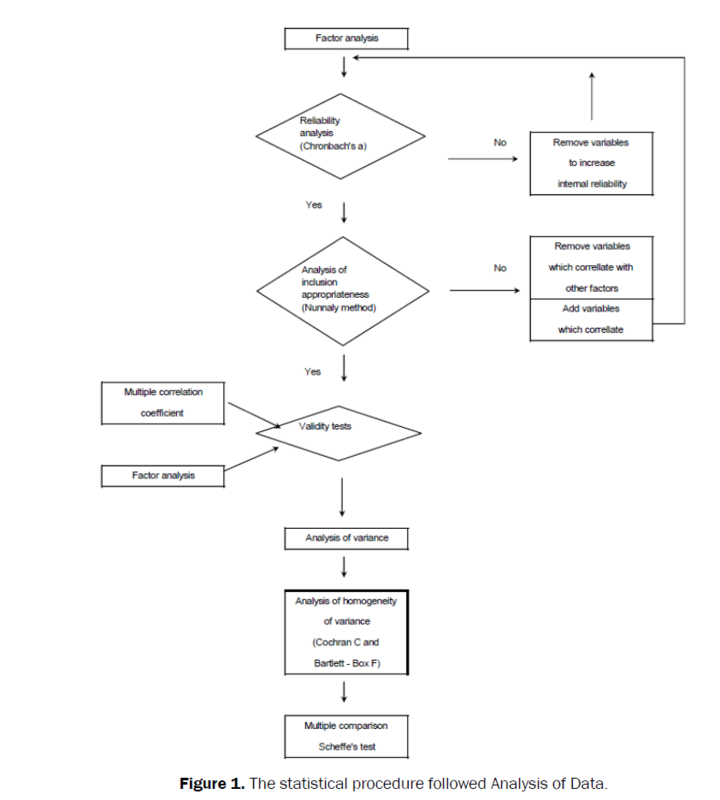 Figure 1, shows the statistical procedure used in this study. Figure 1: The statistical procedure followed Analysis of Data. 1.) In the environmental scanning stage, scanning completeness (the number of internal and external environmental variables considered) and accuracy (the number of variables correctly identified as SWOT's) were tested. 2.) In the generation of alternatives stage not only the length of analysis, i.e. the number of selected tactics but also the depth of analysis was examined. For this reason a tree was formed by all tactics generated by the subjects and with the help of an expert on business planning tactics were assigned into main categories (branches). Each main category was further decomposed into actions (twigs) which helped materialized the tactic at hand. 3.) In the evaluation of alternatives stage emphasis was given whether the analysis was based on quantitative or qualitative data (Table 4). Table 4: Effects of support on economic performance scores. 4.) Finally, in the target setting stage the nature of the target set (qualitative, quantitative) as well as whether targets preceded or followed the generation of tactics stage were examined (Table 5). Table 5: Effects of support on time. The analysis showed that most significant differences were found in the behavior of users vs. non-users. Thus, computer users followed more sophisticated processes, which included more stages than non-users. Especially during the first experimental year all users went through all stages of the decision process. During the next two experimental years, although certain stages were eliminated (usually the environmental scanning stage) still the process they followed included more stages than the process of non-users. The latest seemed to pass into action (generation of alternatives) immediately after reading the preliminary information. However, statistically significant differences were found in the planning process followed during the first two experimental years (p=0.001 and p=0.01 respectively). Regarding individual planning stages and especially the environmental scanning stage and the generation of alternatives stage, statistically significant relations were again observed between users and non-users. As nonusers, here, are considered subjects who used a version of the computer aid, which did not included support in the stage under examination. The behavior of these subjects was similar to the behavior of subjects without support. For the target setting stage the analysis showed that non users rarely set quantitative targets while computer users, in all experimental conditions, set both quantitative and qualitative targets and thus, significant relations are observed between users and non-users (p=0.001). In the evaluation of alternatives stage no significant differences were observed mainly due to the fact that most subjects, users and non-users, skipped this stage. Following the example set by other investigators the present research examined the economic performance of the managers that participated in this study. The positive effect of computer support in economic performance was evident in all experimental conditions and especially between no support and full support conditions. In addition, in an effort to develop an integrated measure of performance, data collected from the business game were correlated to economic performance. The statistical analysis revealed seven composite factors that are highly related to economic performance (r >0.65): length of analysis, target sophistication, SWOT's analysis (Strengths scanning, Weaknesses scanning, Opportunities scanning, Threats scanning), and decision confidence. It is argued that these seven variables constitute dimensions of decision quality and characterize planning effectiveness. The significance of each one of these variables is also verified by the literature. Thus, several researchers state the importance of isolated factors on decision effectiveness such as selection of alternatives based on rational criteria, environmental scanning, target quantification and clear statement of objectives, [12,17,24,43]. Other researchers recommend the use of more complex criteria such as those proposed by Janis and Man (see literature review section) which state seven ideal criteria that decision-making processes should satisfy. These criteria emphasize decision maker's mental processes and focus on the generation and evaluation of alternatives. However, although these criteria shed light to certain aspects of decision quality they fail to consider their composite influence on decision success using objective data . The advantage of the factors proposed in this study is that they include both environmental (SWOT's) and cognitive factors (managers' abilities in the generation of alternatives), are measurable and possess strong validity. To facilitate the examination of the effects of support on decision making the "micro" approach has been chosen and the process has been analyzed into four distinct stages (environmental scanning, generation of alternatives, evaluation of alternatives, target setting) the execution of which place different cognitive demands upon the user. In general, the analysis of the data showed that unaided subjects proceeded in the generation of alternatives immediately after reading the supplied information while aided subjects followed more sophisticated processes. Thus, during the first experimental year aided subjects went through all (four) decision-making stages even when support was missing in certain stages according to the experimental conditions. During the second experimental year subjects in full support conditions went through, again, all four stages while the subjects in the other experimental conditions usually eliminated the stages of the environmental scanning and evaluation of alternatives. During the third experimental year both aided and unaided subjects followed similar decision making processes, generating alternatives immediately after reading the supplied information. These findings suggest that unaided subjects proceed to the solution of the business problem immediately after reading it, without seeking more information. This behavior is also evident when decision time is analyzed. Aided subjects took much more time to reach decisions than unaided and this is due to the multi-stage decision processes they followed. The interesting point here is that unaided subjects did not ask for more information although they had a catalog with available information but used data and experiences from their own companies to fill possible gaps and justify their choices. Thus, unaided subjects deliberately restricted their search for information although there was information, which could have been supplied to them without any cost. Some of the reasons which might explain this behavior are either the cognitive demands that the processing of such information entails  or the habit to exploit every information at the greatest extend due to the difficulty associated with its acquisition. According to the opportunistic thought individuals do not expect answers in all their questions but proceed into action based on what they already know. This tendency is especially true with expert managers who are used to develop syllogisms based on very few data . Thus, the cognitive effort associated with the acquisition and processing of information might be responsible for the non-optimal behaviors observed in unaided subjects as well as scanning selectivity [8,21]. Cognitive theories can also explain the behavior of subjects without full support. These subjects tend to drop the environmental scanning and evaluation of alternatives stages after the first year. The possible explanation that these stages are eliminated because their representation by the system is incompatible to the way subjects are used to perform them should be rejected since these stages where used without problems by subjects in full support conditions and where positively evaluated as it was evident in users’ answers and comments in the questionnaire. The positive degrees of realism and specificity which characterize especially the environmental scanning stage point towards more cognitive explanations. These two stages are considered as very demanding in terms of cognitive effort due to the multitude of information and the complex processing that is required for their execution. The lack of support during the environmental scanning stage in some of the experimental conditions made the search for and the evaluation of information even harder. For this reason subjects jumped into action (generation of alternative tactics without evaluation) based on incomplete information (those received at the beginning of the experimental year). The decision making process followed might be considered as quite different from the process proposed by the rational model. However, a closer examination of the process followed by the subjects reveals certain similarities with the rational model, especially in the strategy and target setting stages. Thus, the same subjects who applied heuristics took time and effort to thoroughly set strategies and determine quantitative targets. These findings point towards more flexible theories for explaining the cognitive strategies that entrepreneurs use during the execution of their tasks. For example, Isenberg  observed that managers generate contingency plans (rational strategy) based on restricted and incomplete information (nonrational strategy). In the same direction, it is argued that the strategies used by managers include both logic and intuition [1,19]. Other researchers observe that such behaviors are more effective in rapidly changing environments. Thus, both literature and study findings agree that the way managers reach decisions is not always the same (rational or non-rational) but it adjusts so as to include both rational and intuitive elements since the use of heuristics does not necessarily exclude the use of rational methods. Such behaviors might be more effective in changing and uncertain environments and explain the survival of companies through decisions made this way. In other words, in addition to decision-makers' cognitive style and analytical competences, structural features of the decision situation may also play an important role in the adoption of rational, comprehensive strategies in strategic decision making [8,37]. The comparison of the results between support conditions showed that the use of rational strategies was more often and faded later in full support conditions. Thus, it seems that the systematic use of a computer system affects greatly user behavior and might even change user habits. However, further research is necessary before conclusive statements can be made. The use of the computer aid affected positively not only the number of SWOT’s but also their accuracy, i.e. the number of SWOT’s correctly identified as such. From the literature it is evident that most managers focus their attention on a set of few variables from the environment, which they consider as important  or feel that they have the necessary knowledge about  risking this way the exclusion of potentially relevant and important information . Computer support, in the form of a list of a list of factors from the external and internal environment which users should study and prioritize, helped managers to approach environmental scanning in a more systematic, comprehensive way and to focus their attention on critical information without loading their cognitive system. Such a procedure takes into consideration Simon’s principle of satisfaction vs. optimization [45,46] as well as the cost that is associated with further search for information. The analysis of the results showed that the decision process followed by unaided subjects does not include such a stage but that targets, mostly qualitative in nature, stem from the results of the selected tactics and are adjusted to them. On the contrary, aided subjects set both quantitative and qualitative targets for, at least, the first two experimental years after the processing and evaluation of data from the environment as well as historic data. Users without support during the environmental scanning stage set targets based on the historic data, which were supplied. It seems that subjects adjusted their decision making process so as to include only easily accessible information. Such a behavior could point towards theories emphasizing bounded rationality. However, the fact that they set quantitative targets (rational behavior) argues about not only the adoption of more flexible theories for explaining human behavior but also shows the nature of support needed in the particular stage. Thus, efforts should center on the presentation of relevant data in such a way, which would promote a more complete and thorough analysis and facilitate target setting. Computer support significantly affected not only length of analysis (number of alternative tactics) but also depth of analysis, i.e. generated alternatives covered a wider spectrum and were decomposed into more detailed tactics. The comparison between support conditions reveals that although the use of the computer aid leads into more integrated sets of tactics it is the existence, in the generation of alternatives stages, of a list of tactics from which the user can select that contributes to the observed significant differences. The generation of alternatives in problems which are characterized by high degrees of structure is usually typical: the user possesses, in his memory, a repertoire of successful tactics from which he selects the most appropriate or recalls similar problems and their accompanying solutions. However, these generations of alternatives strategies fail when problems are unstructured such as those encountered in strategic planning. In such cases when the memory search does not bring about the appropriate solutions then the user should proceed with further problem analysis and formulation but due to cognitive limitations efforts are restricted, e.g. insufficient search and premature termination of efforts at the first signs of similarity between existing and previous situations [22,25,36,47]. The existence of the list of tactics unburdens users’ memory and helped them to enrich their repertoire without any additional costs in effort. Another possible explanation is offered by Zmud . He claims that computer aid should focus on executives' thought support in problem and opportunity recognition and diagnosis instead of provided support for the choice phase. However, the empirical findings of this study show that the provided list of tactics had a positive effect on performance. This can also be attributed, perhaps, to the support that such a facility offered in initializing a new thinking cycle in which alternative tactics serve as stimulus for the identification of opportunities. Such mental activities are not necessarily restricted to particular task stages but might be present throughout the whole decision process. The analysis of the results showed that very few managers, aided and unaided, evaluated selected tactics. For aided managers, this can be attributed to the way this stage was represented in the computer system and the demand for quantitative data which either were not available or their supply required excessive effort . But most of all, the evaluation of alternative tactics required the generation of at least two sets of tactics for comparison purposes. However, most managers generated only one set of tactics and evaluation had the form of choice verification rather than assessment of choice correctness. The elimination of this stage is also observed in the literature [29,30,36,38]. It seems that this stage is tightly connected to the previous and the generation of alternatives includes, partly, their evaluation in thinking-acting pairs. Managers assess the selected tactics in practice according to learning - reacting cycles and revise them only if it is necessary. Thus, to better support this stage emphasis should be given not to quantitative data but to the presentation of data on which the selection of tactics was based such as SWOT’s, targets, etc. which could facilitate the practical assessment of tactics and support learning of successful combinations. Aided managers spent, in general, more time on decision making than unaided managers although the significant differences are between full support and no support conditions. This is evident in time spent in order to reach decisions for every experimental year as well as in total. Similar results have been observed also in the literature [28,39]. These results can be attributed to the familiarization period which is which necessary when a computer aid is introduced to the decision is making process as well as to the use of more sophisticated decision making methods: more thorough execution of more planning stages than unaided subjects. Managers’ subjective evaluation concerning the correctness of their decisions was not affected from computer use. These evaluations were quite high and most managers expressed their confidence using percentages above 70%. Thus, it seems that when managers express their certainty regarding production rules or their results (alternative tactics) they use either very high or very low percentages, which signify acceptation or rejection . When in doubt, managers choose to reject the alternative tactic and thus, the remaining ones are characterized by strong confidence levels. Human decision-making is prone to biases and people, in an effort to deal with complexity, tend to employ heuristics and rules of thumb which, although may not inevitably prevent good decisions from being made, can nevertheless give rise to serious judgmental problems. The consequences of such errors in strategic planning can be costly leading to less than optimal economic performance and endanger, in the long run, survival of the company. It is argued that computer systems supporting complex tasks, which exhibit aspects of rationality, are positively associated with increased task effectiveness [49-55]. The results of this study point towards the desirability of computer systems that support each phase of decision making distinctively, placing more emphasis on the data gathering and evaluation phase (assessment of SWOTs) and the generation of alternatives (tactics). The findings show that the decision-making process imposed by the system served as a memory prompt that summarized all the relevant information during task execution. These prompts reduced the cognitive load during decision-making and ensure manager-user's judgments were made on more complete information rather than memory assessed and/or biased details [41,56-60]. The use of SME managers, as participants in this study, offered an additional glimpse on the reaction of end users and the evaluation of the impact of a decision support system on practice. It was made evident that the strategies used by managers included both logic and intuition, revealing thus, that the use of heuristics did not necessarily exclude the use of rational processes, which probably constitutes an evolutionary trait considering the nature of business decisions, allowing them to react rapidly and seize opportunities [61-64]. Another finding, in accordance to literature, is that the systematic use of a computer system may affect users' behavior leading them to the adoption of more rational strategies. However, the full impact of a DSS use can only be assessed in real life situations. One limitation of the proposed study is the methodological approach selected, namely the use of the laboratory study and the difficulty of linking the incentives of decision makers to make better quality decisions and performance in real life situations and simulated experimental environments. An interesting extension of this research would be to test such systems in everyday work situations and problems before valid design recommendations can be developed. Akinci C and Sadler SE. Intuition in Management Research: A Historical Review. International Journal of Management Reviews. 2012;14:104-122. Arinze B. A Contigency model of DSS Development Methodology Journal of Management Information Systems 1991. Arnott D andPervan G. A critical analysis of decision support systems research. Journal of Information Technology. 2005;20:67-87. Benbasat I and Todd P. The Effects of Decision Support and Task Contigencies on Model formulation: A Cognitive Perspective. Decision Support Systems. 1996;17:241-252. Biggs S, et al. The effects of Task Size and Similarity on the Decision Behavior of Bank Loan Officers Management Science 1985. Bingham C andEisenhardt K. Rational heuristics: the “simple rules” strategists learn from their process experiences.Strategic Management Journal. 2011;32:1437-1464. Busenitz L and Barney JB. Differences between Entrepreneurs and Managers in Large Organizations: Biases and Heuristics in Strategic Decision Making Journal of Business Venturing.1997;12. Chen JO and Lee SM. An exploratory Cognitive DSS for Strategic Decision Making Decision Support Systems. 2003;2. Cook JG. An Empirical Investigation of Information Search Strategies with Implications for Decision Support System Design Decision Sciences. 1993;3. Daft RL, et al. Chief executive scanning environmental characteristics and company performance: an empirical study. Strategic Management Journal 1998. Dean J and Sharfman M.Procedural Rationality In The Strategic Decision-Making Process*. Journal of Management Studies. 1993;30:587-610. Dequech D. The new institutional economics and the theory of behaviour under uncertainty. Journal of Economic Behavior and Organization 2006;591:109-131. Devaraj S andKohli R. Performance Impacts of Information Technology: Is Actual Usage the Missing Link? Management Science. 2003;49:273-289. Eierman M, et al. DSS Theory: a Model of Constructs and Relationships Decision Support Systems. 1995;1. Einhorn J, et al. Decision-making: Going Forward in Reverse Harvard Business Review 1985. Elbanna S and Child J. The Influence of Decision Environmental and Firm Characteristics on the Rationality of Strategic Decision-Making. Journal of Management Studies. 2007;44:561-591. Eom SB. The Intellectual Development and Structure of Decision Support Systems. Omega Int. J. Management Science. 1998;5:639-657. Fredricson JW. Effects of Decisions Motive and Organizational Performance Level on Strategic Decision Processes. Academy of management Journal. 1985;821-843. Fuglseth AM and Gronhaug K. Can Computerized Market Models Improve Strategic Decision Making Journal of Socio-Economics. 2003;5. Garg V, et al. Chief executive scanning emphases environmental dynamism and manufacturing firm performance. Strat. Mgmt. 2003;24:725-744. Gary M, et al. Enhancing mental models analogical transfer and performance in strategic decision making. Strat. Mgmt. 2012;33:1229-1246. George J, et al. Countering the Anchoring and Adjustment Bias with Decision Support Systems. Decision Support Systems. 2000;2. Grant RM. Contemporary Strategy Analysis: Concepts Techniques Applications Blackwell Malden MA 1995. Häubl G and Trifts V. Consumer Decision Making in Online Shopping Environments: The Effects of Interactive Decision Aids. Marketing Science. 2000;19:4-21. Hogarth R. Deciding analytically or trusting your intuition? The advantages and disadvantages of analytic and intuitive thought. In T. Betsch& S. HaberstrohThe routines of decision making. 2005;67-82. Huse E. Organizational Development and Change West Publishing Co, New York 1980. Isenberg DJ. How Senior Managers Think Harvard Business Review 1984. Isenberg DJ. Thinking and Managing: A Verbal Protocol Analysis of Managerial problem Solving. Academy of Management Journal.1986;29:775-788. Islei G. Decision Support Systems for Strategic Decision-Making and Performance Measurements in:. Managing IT as a Strategic Resource McGraw-Hill London 1997. Payne J, et al. The adaptive Decision Maker Cambridge University press Cambridge 1993. Janis I and Mann L. Decision making: A Psychological Analysis of Conflict Choice and Commitment New York Free Press 1977. Johnson E. and Payne JW. Effort and Accuracy in Choice. Management Science 1985;395-414. Karim AS, et al. A Simulation of Partial Information Use in Decision Making: Implications for DSS Design Decision Sciences 1998. Laios L. Developing Intelligent Decision Support Systems through User-Centred Design - A Managerial Planning Application in: Methods and Tools in User-Centred Design for Information Technology 1992. Langley A. Formal Analysis and Strategic Decision Making. Omega2003;2-3:79-99. Lindblom CE. The Science of "MouldingThrough". Readings in Managerial Psychology The University of Chicago Press Chicago and London 1980. Mackay J, et al. An Empirical Investigation of the Effects of Decision Aids on Problem-Solving Processes. Decision Sciences.1992;3:648-672. Martinsons M and Davison R. "Strategic Decision Making and Support Systems: Comparing American Chinese and Japanese Management" Decision Support Systems. 2007;1:284-300. Miller C. Decisional comprehensiveness and firm performance: towards a more complete understanding. J. Behav. Decis. Making. 2008;21:598-620. Nunnaly J. Psychometric theory New York: McGraw Hill 1967. Olson D, et al. Consistency and Accuracy in Decision Aids: Experiments with four multiattribute systems Decision Sciences. 1995;6. Payne J. Behavioral decision research: A constructive processing perspective. In: Annual Review of Psychology. 1992;87-131. Powell T. Behavioral strategy. Strat. Mgmt. 2011;32:1369-1386. Sabherwal R and King W. An Empirical Taxonomy of the Decision-Making Processes Concerning Strategic Applications of Information Systems Journal of Management Information Systems. 1995:1. Schwartz B, et al.Maximizing versus satisficing: Happiness is a matter of choice.Journal of Personality and Social Psychology. 2002;83:1178-1197. Schwarz N. Feelings as information: Implications for affective influences on information processing. In: Martin L and Clore G. Theories of mood and cognition: A user’s guidebook Lawrence Erlbaum Associates Mahwah. 2001;159-176. Schwenk C. Cognitive Simplification Processes in Strategic Decision Making Strategic management Journal2006 . Segars AH, et al. Strategic Information Systems Planning: Planning System Dimensions Internal Coalinment and Implications for Planning Effectivenss Decision Sciences. 1998;2. Sharda R, et al. Decision support system effectiveness: A review and an empirical test Management Science. 1988:2. Simon H. Rationality as Process and Product of Thought American Economic Review.1978;68:1-16. Simon H. Administrative Behavior: A Study of Decision-Making Processes in Administrative Organizations New York: Macmillan 1976. Simon H. Making management decisions: the role of intuitions and emotion in Academy of Management Executive. 1987;11:57-64. Slovic P, et al. Decision making Volume 2 chapter 10 R. C. Atkinson R. J. Herrnstein G. Lindzey and R. D. Luce Eds. Wiley New York 1988. Sorrell M. How we do it: three executives reflect on strategic decision making. McKinsey Quarterly.2010;2:46-57. Teece DJ. Explicating dynamic capabilities: the nature and microfoundations of (sustainable) enterprise performance. Strategic Management Journal. 1988;28:1319-1350. Thaler R and Sunstein C. Nudge: Improving Decisions About Health Wealth and Happiness. Yale University Press: New Haven CT 2008. Todd P and Benbasat I. Evaluating the impact of DSS cognitive effort and incentives on Strategy Selection Information Systems Research. 1999;4. Todd P and Benbasat I. An Experimental Investigation of the Impact of Computer-based Decision aids on Decision Making Strategies. Information Systems Research. 1991;2:87-115. Todd P and Benbasat I. The Influence of Decision Aids on Choice Strategies: An Experimental Analysis of the Role of Cognitive Effort. Organizational Behavior and Human Decision Processes. 1994;60:36-74. Tversky A and Kahneman D. Judgment under Uncertainty: Heuristics and Biases. Science. 1974: 185;1124-1131. Valiris G and Laios L. Design and Validation of Knowledge Acquisition Tools in a Business Domain Behaviour and Information technology.1995:2. Zmud RW. Supporting Senior Executive through Decision Support Technologies: A Review and Directions for Future Research. In:E.R.McLean and H.G.Decision Support Systems: A Decade in erspective Elsevier Science Publishers North-Holland Amsterdam.1986.